Graphic designers, webmasters and even marketers are not strongly represented on a B2B firm’s payroll. Many companies opt to outsource these services on a project-by-project basis. As businesses search for a capable creative agency, understanding the creative process and each person’s role will help understand your needs. 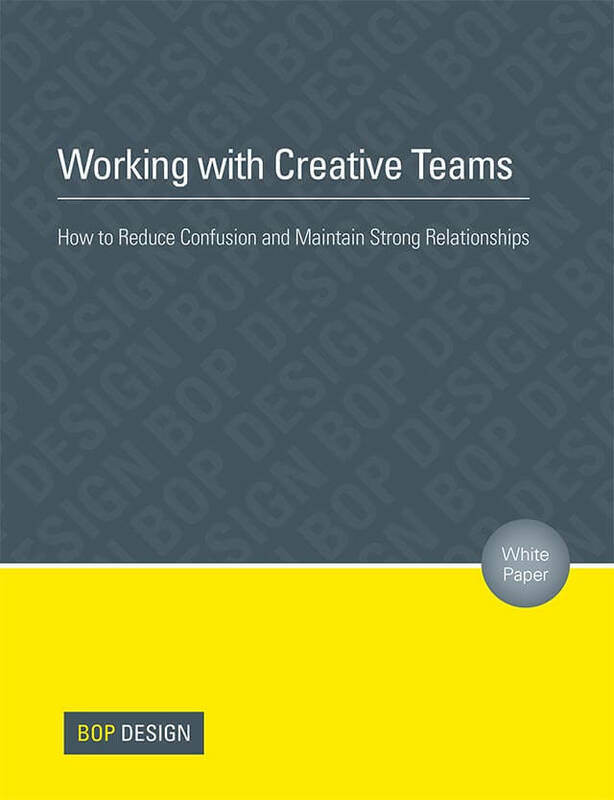 Download today the Bop Design “Working with Creative Teams” white paper to maintain strong working relationships.